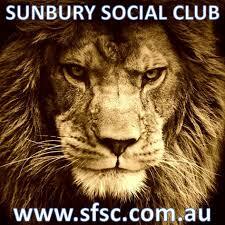 Sunbury charges into second spot! An outright win over a hapless Rupertswood not only ensures a place in this seasons McIntyre finals but also provides the team with the home ground advantage by finishing second on the ladder. This weekend Sunbury face Wallan at home at the Clarke Oval in a sudden death Semi-final to be played on Saturday and Sunday. The winner of this match to play off against the winner of the first Semi-final between competition leaders Sunbury United and Woodend. All supporters, family and freinds, past and present players are urged to come down to the Clarke Oval this weekend, lets see the grand stand full of blue shirts cheering our team to victory!